From reducing loneliness to ensuring proper nutrition, companionship care and homemaking have many benefits for patients. If you suspect your loved one isn’t eating well, for example, having a homemaker available to cook nutritious meals can turn around your family member’s health. From doing the laundry and taking out the garbage to reading out loud or playing cards, professionals in companionship care and homemaking serve as additional helpers within the home. They’re available to help remind patients when to take their medications, keep up around the house and even drive someone to a hair appointment. Even relatively healthy, active seniors can require additional help around the home or with normal activities that have become too difficult to manage on their own, such as driving or even walking up and down a flight of stairs. Professional in-home and personal caregivers help to maintain a stable and comfortable home environment. They provide support for day-to-day tasks that a friend or loved one may not be able to provide on a consistent basis. 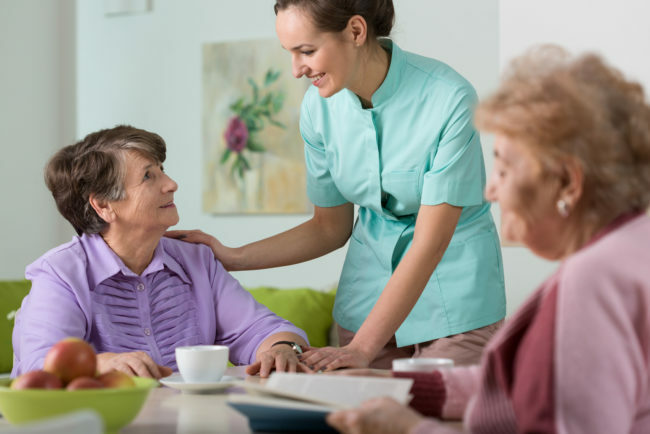 To learn more about how in-home personal care services can help your loved one maintain their independence and continue to enjoy a healthy quality of life, call us at 978-655-9800 for more information. Memory care services help seniors with varying degrees of memory loss continue to function and maintain their well-being in a safe and supervised environment. In-home care services can be tailored to meet an individual’s and family’s specific needs.